Posted October 18, 2012, in Faculty News. 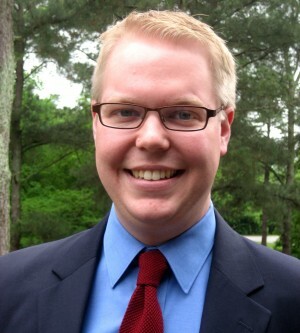 Christopher Goodman holds a Ph.D. in Public Administration from the University of Georgia as well as a M.P.A. from the same institution. His research focuses on local public finance, public financial management, and urban policy. Specifically, his research is concerned with how internal government financial structures, local institutions, and land development patterns influence local government fiscal systems. He is currently working on projects to better understand the influence of sprawl on a variety of public finance outcomes and to more completely understand how the spatial arrangement of local governments influences the overall size of the local public sector. Christopher has presented his research at a number of the top conferences in the fields of public administration, public policy and regional science. He has published in the journal Public Budgeting & Finance and is a contributor to the recently published Handbook of Local Government Fiscal Health. Page last updated by Faculty of Arts and Sciences at 2:06 pm August 23, 2013 . This page was printed from http://fas.camden.rutgers.edu/2012/10/18/dr-christopher-goodman/ at 7:07 AM Monday, April 22, 2019.